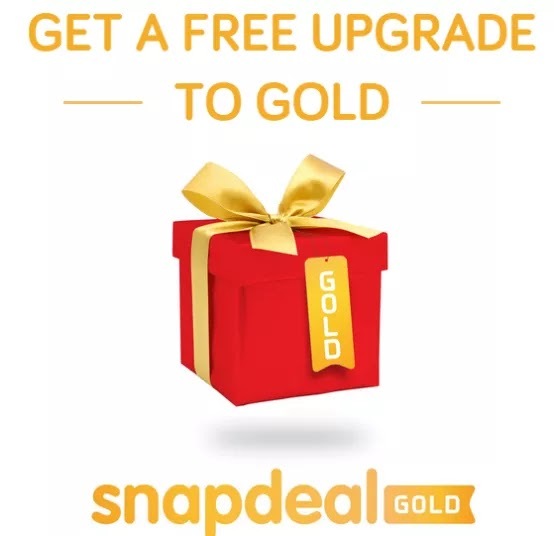 -> The Best this about Snapdeal Gold is all orders paid through Net Banking, Credit Card, Debit Card, EMI and Wallet will be automatically upgraded at no extra cost to Snapdeal Gold!! Note:-Orders which have Payment mode as Cash on Delivery will not be Upgraded to Snapdeal Gold. How to Upgrade an Order to Snapdeal Gold? • Now Simply pay using a prepaid mode of payment (Credit/debit card, net banking, EMI or Wallet) and your order will be automatically upgraded to Gold! !